A parliamentary report of 1777 recorded a parish workhouse in operation at Catherington for up to 30 inmates. 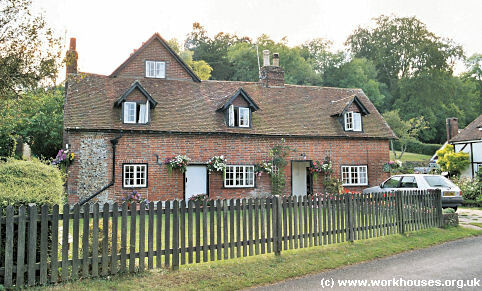 A row of cottages at Finchdean was once a local poorhouse. Hampshire: Blendworth, Chalton, Clanfield, Catherington (4), Idsworth (2). Later Addition: Waterloo (from 1910). The population falling within the union at the 1831 census had been 1,950 — ranging from Clanfield (population 219) to Catherington itself (944). In terms of its (1831) population, Catherington was probably the smallest union in England. The average annual poor-rate expenditure for the period 1831-34 had been £2,796 or £1.8s.8d. per head of the population. A new Catherington Union workhouse was erected in 1835 in Horndean. Intended to accommodate 80 inmates, the Poor Law Commissioners authorized the sum of £1,050 on its construction. The red-brick building had a T-shaped layout. The workhouse location and layout are shown on the 1909 map below. 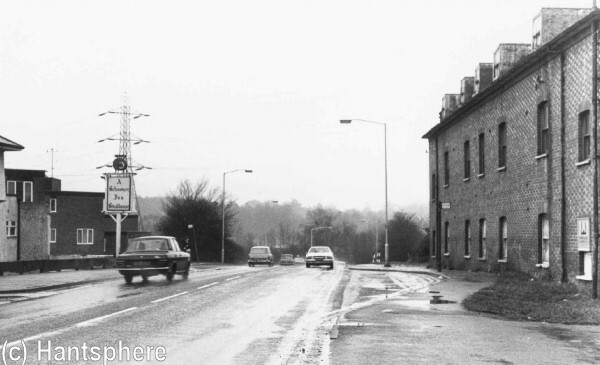 Former Catherington workhouse (right of picture) from the west, c.1977. In 1925, the Guardians decided to close the workhouse. The remaining inmates were then boarded out at the Portsmouth workhouse. 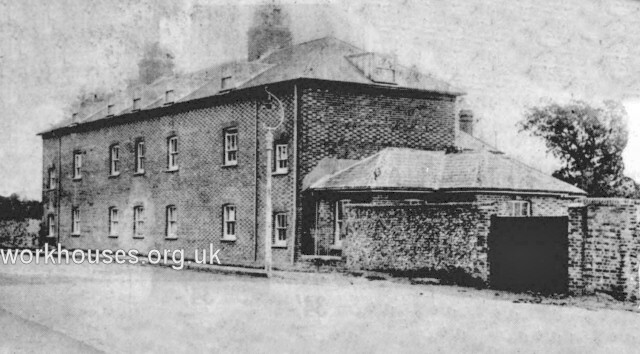 Former Catherington workhouse, Horndean, from the west, c.1933. In 1933, the workhouse building was renovated and altered for use as a county council home for thirty boys. After the Second World War, the building was used as a textile hand-printing factory. 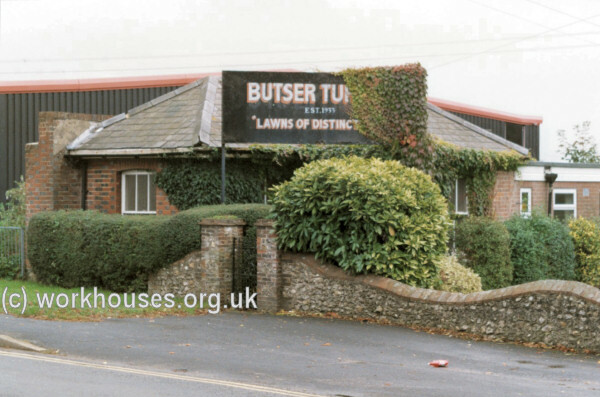 The workhouse buildings were demolished in 1982. All that remains is is a small single-storey structure at the western end of the former workhouse site. Catherington from the west, 2001. Hampshire Record Office, Sussex Street, Winchester SO23 8TH. Very few records survive. Holdings include Guardians' minute books (1900-1929).